Hello Sculptors, it’s time for another round of our new 3D sculpting challenge! Like last time, you’ll get two weeks to work on a topic that encourages everyone to collaborate – we’ll combine the final entries into one large scene afterwards, linking each entry to the original. This month, the topic is ‘Underwater Creatures’ – realistic or fantastical fish or other critters. So brush up your biological sculpting skills, grab some reference pics and start creating! Our sponsor Shapeways is providing a 3D print of the winning model. Read on for the full rules, but the TL;DR version is: sculpt any ‘underwater creature’ model, upload to Sketchfab and set ‘Downloadable’, tag with #3DSculptUnderwater to enter. 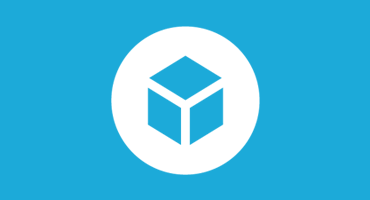 Once you’ve created your 3D model, upload it to Sketchfab, tag it #3DSculptUnderwater and set it to Downloadable. Submission deadline is Monday, March 20 (23:59 New York time – EST). Sketchfab Masters Mieke Roth, Mike Fong and Alex Meister. Shapeways is offering $100 in 3D printing credits to the winner – enough to get your design 3D printed in a great material and ship to you! 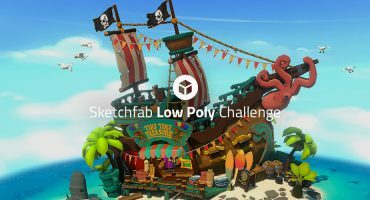 We’re adding 3 months of Sketchfab PRO to the prize pot. 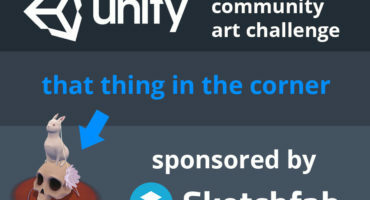 Contestants models must be uploaded to Sketchfab and tagged #3DSculptUnderwater to be considered. The winners will be contacted by Friday, March 24. Textures are allowed, but the work will be judges on the sculpt quality only (in matcap view). Loving this idea. Can people upload more than one design? Thanks for the opportunity and fun. I see somewhere they are judged in matcap. Do my settings need to be for that during this whole time or can I display it how I want? No don’t worry about it. Just present your scene however you like! I’m currently working on my model for this competition. Just one question, I usually retopologise and add texture/normal maps to lower poly models. For this competition because it is based solely on sculpt is it better for me to upload my higher res model or would a lower poly model with a Normal Map applied be ok?